The Model Railroad Show runs March 30-31 and April 6-7 from 1 to 5 p.m. Saturdays and Sundays. 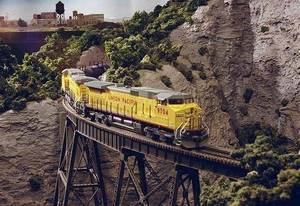 We feature a 1,200 square foot HO layout, steam and diesel locomotives, Thomas and Friends, numerous freight and passenger trains, rural and urban scenes, and working signals. Donation is $6 for adults. Children under 12 free with paying adult.